This is the 3rd time my family and I have asked for the help of Chris Grant. We purchased our home in Temecula with his help and then refi'd with his help. A new job sent us to Northern CA and I called upon him again for a new mortgage for a new house. If you are looking to buy or refi, do yourself a favor and call Chris Grant. Matt E. of Temecula, CA. Could not be more satisfied with the quality of service! Chris Grant diligently worked with us to refinance two properties! He was extremely responsive, straight forward and great at communicating every step along the way. We were very pleased and look forward to working with him again. Abby L. Of Monterey Park, CA. The definition of testimonial is a formal statement testifying to someone's character and qualifications. A character reference, a letter of recommendation, "a glowing testimonial" or a public tribute to someone and to their achievements. Chris Grant was an absolute joy to work with. Always on top of things, always keeping track of the progress of everything going on with our home purchase, and always courteous and polite. I would highly recommend his services to just about anyone. More than this, United Loan Center was a great loan center to work with and was very responsible in regards to tracking our home purchase. My fiancée and I had heard numerous horror stories of how difficult buying a home could be from various friends and family and how it would be one of the most stressful times of our lives. While this ordeal was not completely without its stresses (never due to this company), I firmly believe the whole process would have been much worse without the likes of Chris Grant and United Loan Center on our side. I had a fabulous experience with United loan center! I was a first time home buyer and Chris Grant worked with me. He made everything so seamless! I have heard horror stories about buying for the first time, but Chris made everything so smooth. He also found me the best mortgage out of three different lenders. Would highly recommend and work with again! by Chelsea W. of Fallbook, CA. This is the 3rd time my family and I have asked for the help of Chris Grant. We purchased our home in Temecula with his help and then refi'd with his help. A new job sent us to Northern CA and I called upon him again for a new mortgage for a new house Kudos also go out to James Sullivan! They kept their promises and stayed true to their word. If you are looking to buy or refi, do yourself a favor and call Chris Grant at the Murrieta office at 909-556-4170! by Matt E. of Temecula, CA. Chris Grant at United Loan Center helped us save money monthly with our recent refinance on our home. Unsure of what the outcome would be, we were nervous and reluctant to proceed, but Chris' confidence and diligence to make it work for us, resulted in an outcome that far exceeded our expectations. We highly recommend Chris and plan to have him prepare all of our future home loans. by Leslie B. of Fallbrook, CA. We recently just refinanced our home with Chris Grant and James Sullivan and could not be happier with the process! My wife and I, being young adults,aren't very knowledgeable when it comes to home loans and the refinancing process. Chris and James were amazing when it came to explaining every little thing that was going on and answering every single question we had. They made it very easy and stress free. Both Chris and James are courteous and timely with all the documents which made the process go very quickly. They really made us feel like 100% of their focus and energy was on us and getting our loan funded ASAP. We highly recommend Chris, James and United Loan Center!! by Brett W. of Temecula, CA. Chris Grant and James Sullivan exceeded my loan cash-out refinance expectations. I would highly recommend giving them a call. 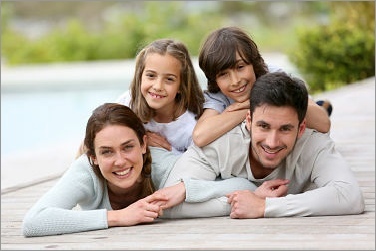 After getting quotes and rates from other companies United Loan Center had the best rate and terms. The process was smooth. They were attentive and had awesome customer service. You'll be glad you called. by Tanya B. of Winchester, CA. We had the privilege to work with Chris Grant and James Sullivan at United Loan Center. This team approach always kept the process in motion. Despite the challenges the team was successful! Both Chris and James had excellent communication and always kept us up to date!These are great guys who I would refer to friends and family! by Nick P. of Redlands, CA. We recently worked with Chris Grant at United Loan center. From start to finish Chris did an outstanding job. He is very professional and knowledgable. Chris was able to refinance our home in a record amount of time. We would definitely recommend Chris to anyone looking to purchase or refinance their home! by Brian R. of Murrieta, CA. Could not be more satisfied with the quality of service! Chris Grant diligently worked with us to refinance two properties! He was extremely responsive, straight forward and great at communicating every step along the way. We were very pleased and look forward to working with him again. by Abby L. of Monterey Park, CA. We had started a refinance with our existing mortgage company and after getting the run around for over 4 months (even requiring my attorney to write a letter), I found Chris Grant and James Sullivan and had the process done in a little over a month - no hassles - no additional paperwork required - no attorney - whoo hoo. They got us a better rate and made the process very painless (in fact so much so I had to kept questioning whether everything was okay). I couldn't be happier with their service and will be referring everyone I know. by Lu Ann S. of Escondito, CA. Our experience with James Sullivan and Chris Grant was outstanding. We were out of town when our loan was ready to be finalized. They were able to get us our loan documents on the weekend so that we could close on time. They answered all of our questions on a timely basis and were available after hours as well. I will definitely use them in the future. Eric R. of Winchester, CA. I wanted to say that Chris Grant is a star in my book. He has stood by me for almost two years because I was unable to sell my townhome. When it finally sold, he made getting a loan a FANTASTIC experience. Without Chris, and his associate James Sullivan, I would have never had such a pleasant experience in moving. He even helped to make sure my move from one residence to another coincided with the closing of the loan. I have already recommended Chris Grant to a friend, and will continue to do so. Thank you so much Chris! Corinne P. of Murrieta, CA.